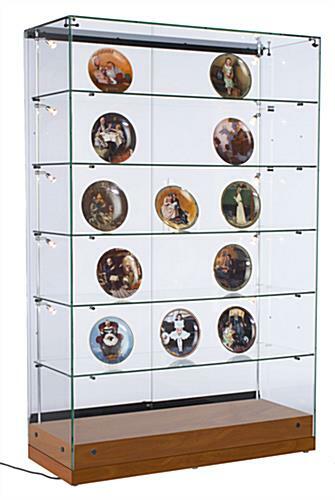 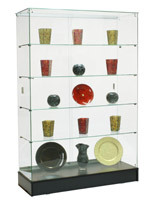 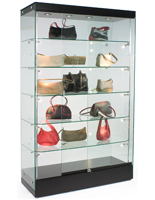 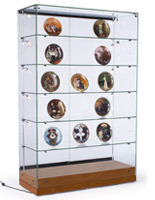 This locking glass store cabinetry is a great addition to any museum, art gallery, or boutique - even before it's loaded with goods for sale and show. 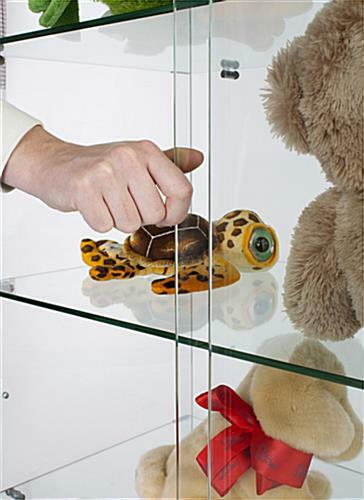 This retail furniture has sliding doors with a plunger key lock to protect valuable collectibles, such as china, artifacts, or small, decorative items. 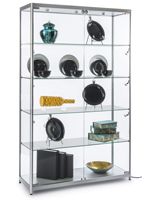 This glass store cabinetry provides storage for all kinds of inventory, and removing the shelving creates space for taller items when necessary. 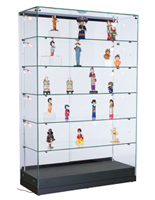 Display cases like those featured here, have two sliding glass doors that move back and forth with ease (unless locked!) 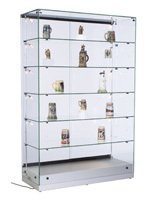 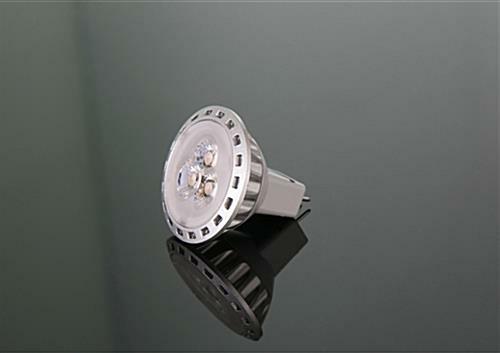 This store cabinetry features vertical LED lighting to further highlight what's inside the cabinet. 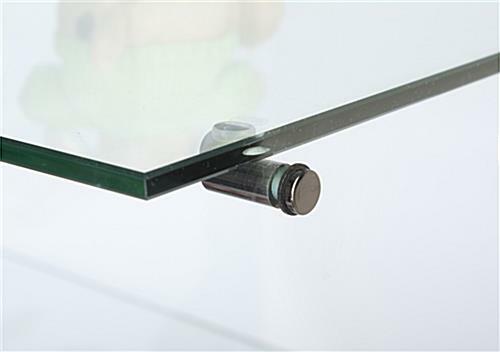 The unit comes with (6) adjustable feet to ensure it's level, even on uneven surfaces.